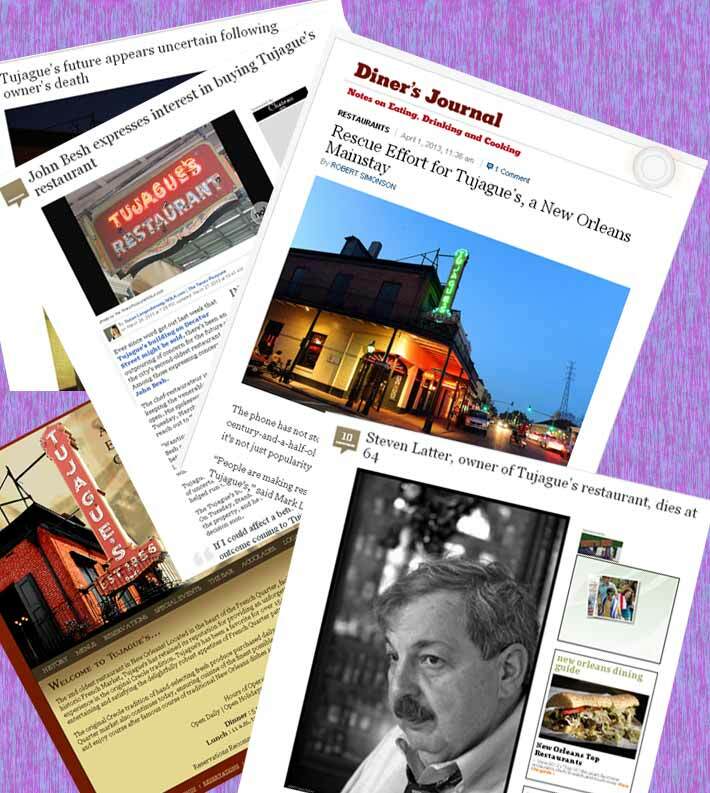 Once the news of Steven Ladder’s passing hit the streets of New Orleans, in particular the French Quarter, the future and fate of Tujague’s Restaurant (pronounced TOO-jacks) starting flying around like sparks out of a Mississippi Levee bonfire on Christmas Eve. Except for the fact that Ladder, the then owner of the restaurant passed away in his sleep on February 18, 2013, and this is not the giving season! So what would become of the coveted gem of a restaurant that has stood for over 150 years as a beacon of culinary refuge holding up some of the best old school New Orleans traditional recipes and menus on the corner at 823 Decatur Street in the French Quarter? Turns out John Besh is making an effort to claim a stake in buying the property from Steven’s brother Stanford who currently owns the property that the restaurant resides. The rumor mill has expectations of Stanford selling the location to a local T-shirt shop merchant Mike Motwani who runs several of the apparel shops in the French Quarter. As if the area needs another T-Shirt shop!!! The other fly in the ointment is other brother Mark Latter owns the restaurant business, while Stanford owns the building. Reservations and inquiry at the restaurant are at an all time high since news of it’s possible closure, many New Orleanians are making possibly their last efforts to get plates of Shrimp Remoulade, Beef Brisket with Creole Sauce, or the ubiquitous Sazerac Cocktail from the bar. One thing is certain, should Tujague’s shutter and not survive into the next generation of the family business, it will be a sad day for New Orleans and a sadder day for those who cherish one of the places that has made New Orleans what it is today. Get the recipe for Tujague’s Famous Boiled Beef Brisket.